Benco Dental Sales Trainers Lisa Fleming and Jessica Dunn (shown above) were armed with information (and 3M High Resolution Scanning Spray and a True Definition Scanner) at the nation’s largest privately-owned dental distribution company’s Northeast District Boot Camp. Though they were happy to accommodate a fun photo op during the two-day CAD/CAM Boot Camp training sessions June 16 and 17 at CenterPoint, Benco Dental’s home office in Pittston, Pa., they are serious about training. “I think the most exciting thing we’ve done recently as a training team is to implement the two-day training for our (3M) True Definition Scanner,” said Lisa Fleming, who has been with Benco Dental for one year and is based in Baltimore. “I think it’s exciting to watch and be a part of their success with this – taking them from the nervousness into the ease of finalizing the training and making them successful. It’s really cool to be a part of that with the sales team and celebrate that success at the end. There’s a lot of challenging pieces and when it comes together it’s great,” said Jessica Dunn, of Michigan, who has been a trainer with Benco Dental for five years. This is the second Boot Camp of a series of four. “The Boot Camp is one of four events hosted across the United States to provide education and hands-on experience for our team around Benco’s OneVisit™ solution, which includes IOS TS150, 3M True Definition Scanner and the Roland Mill,” said Equipment Marketing Manager Sue Evans. 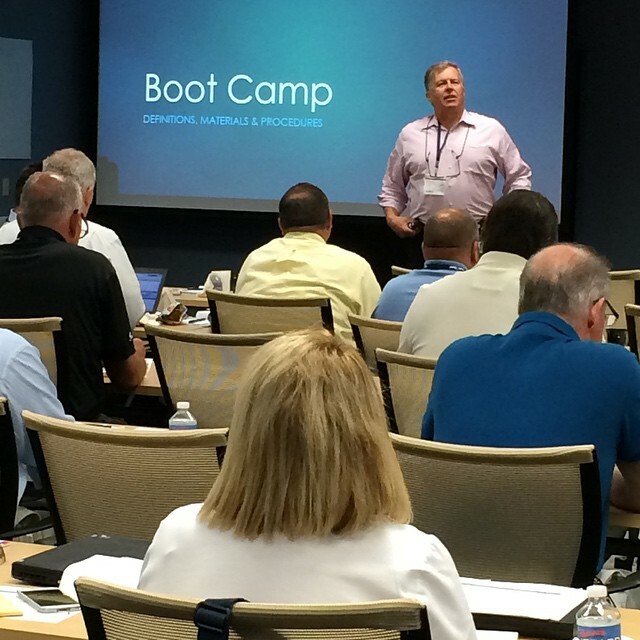 Benco Dental CAD/CAM Product Specialist Mark Nelson serves as a smiling drill instructor during Day 1 of the Northeast District Boot Camp in Pittston, Pa.